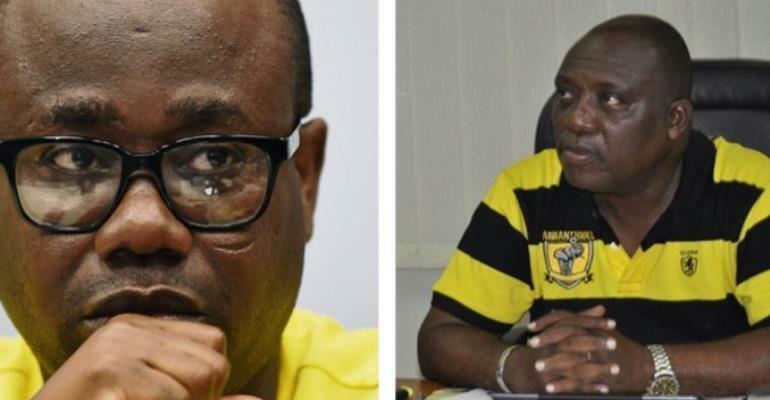 Kudjoe Fianoo Punches GFA President, Labels Him As "CHILDISH"
The Chairman of the Ghana League Club Association [GHALCA], Kudjoe Fianoo has labelled the president of the Ghana Football Association, Kwesi Nyantakyi as "childish". The emerges after Kwesi Nyantakyi urged the GHALCA chairman to concentrate on his job using his official Facebook page after describing him [Kwesi Nyantakyi] and his vice [George Afriyie] as personalities who travel like a pilot. "Fianoo’s earlier claims ‘ taken another swipe at the FA saying its members can continue to reign insults on him if they truly believe in their heart that Ghana football is in its right state. This comes after president Nyantakyi and some members of the FA hit back at him on social media on his claims that “the GFA president and his Vice travel more than pilots”. But in an interview with Accra based Asempa FM, the seasoned football administrator said,” I’m not bothered at all by their insults. However, I feel the FA presidents response to my comment was childish. “All I’m asking is, what is the current state of Ghana football? “They can continue to insult me If they truly believe in their heart that Ghana football is in a right state," he added.